We came across this old-meets-new business startup, Skate Crate, and just had to share this with you. According to long-time skateboarding enthusiast and Skate Crate founder, Dave Bergthold, this attention grabbing ride-on takes its inspiration from the DIY skateboards kids once constructed from just a wooden fruit crate and a pair of roller-skates. 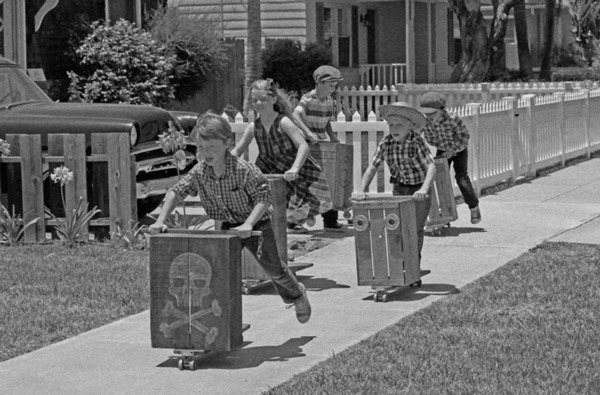 Dating back to the early 1900s, this was the beginning of the skateboarding craze that really took off in the 1950s. 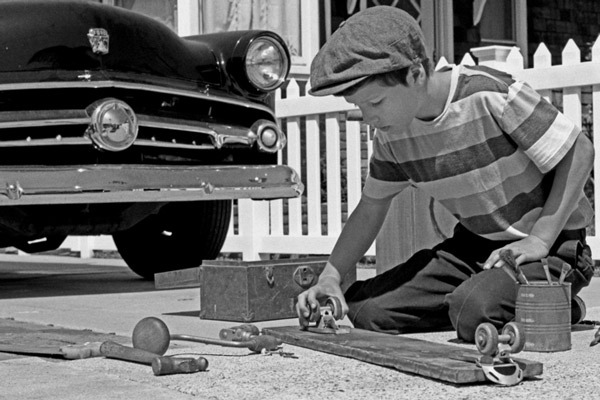 Since the early 1900s, kids have been making skateboards themselves. 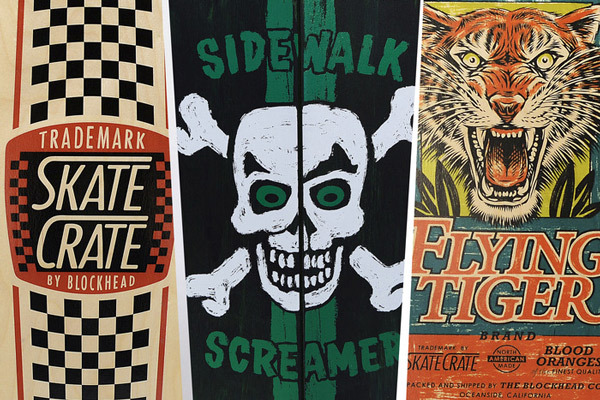 Skate Crate original retro inspired designs. The Skate Crate is a re-imagined, retro-inspired version of these early scooters taken to a new level. 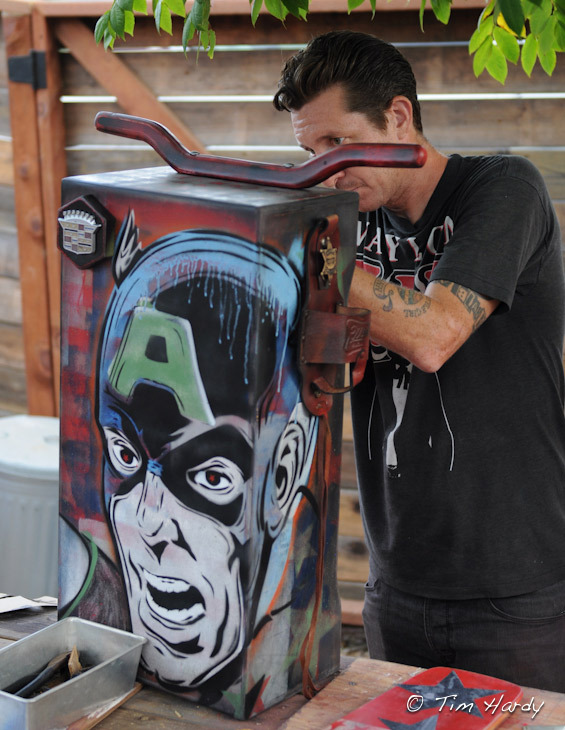 Skateboarding fans can purchase a preassembled vintage style Skate Crate, or those who prefer DIY projects and getting creative can get the kit and go wild painting and customizing their individual ride. For parents that are concerned with getting their children to use their imaginations, creativity and spend more time outdoors, the Skate Crate is a great opportunity to fulfill all these requirements, and then some. Share some history and allow kids to discover what they can truly be capable of. Founder Dave Bergthold builds his own DIY Skate Crate. 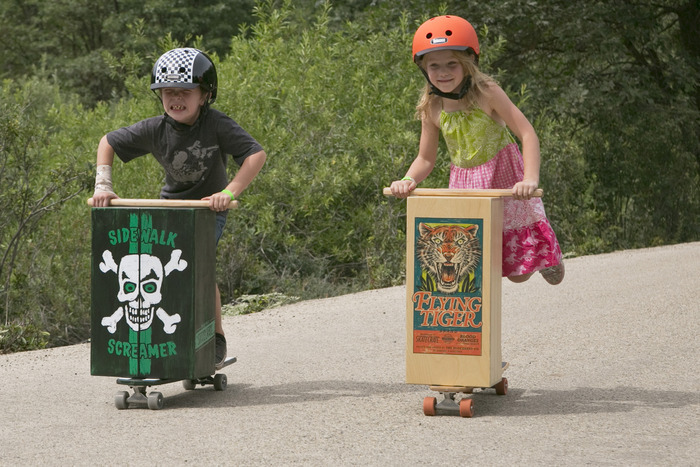 Skate Crate ride-on toys are perfect for outdoor activity. Skate Crate is looking for backers, and their project is outlined on kickstarter.com. The vintage style shoe manufacturer, PF Flyers, has already joined up to support this totally retro-inspired brand, and if you’re interested, the Kickstarter project is only live until September, 23, 2014.